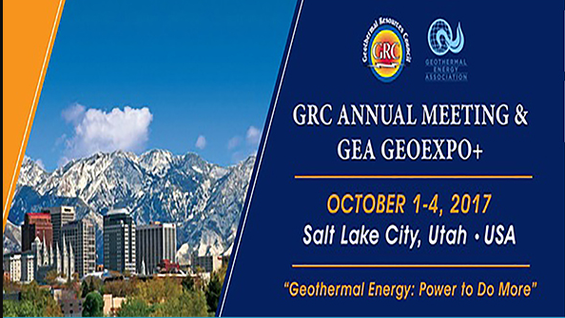 Professor Robert Dell presented a paper about a 3G security camera network using a thermoelectric generator fueled by a geothermal steam pipe. Powering reliable telemetry and monitoring systems can be problematic when an electrical grid is not available. Stand-alone battery systems need maintenance and replacement, and their efficiency decreases at lower temperatures. Onsite electric generators using local renewable energy resources can be a solution. Solar power options can be limited during the winter, especially in northern climates. Thermoelectric power using geothermal steam as a heat source can be a viable alternative. The authors have developed and patented a symmetrical pair of thermoelecric generators with no moving parts that produce more than 6 watt (W) of steady state power with a delta T of about 130°C. In a test bed location when using a steam pipe as a heat source, this system has powered LED lights, a cellular interfaced video surveillance system, and monitoring robots, while simultaneously trickle charging 12 volt (V) batteries. Thermoelectric generators were attached to an exterior geothermal steam pipe at the Agricultural University of Iceland near Hveragerdi. The generators now successfully power a 3G webcam system that monitor the authors' geothermal open field heated test beds. There is surplus power available after trickle charging batteries for additional monitoring systems.